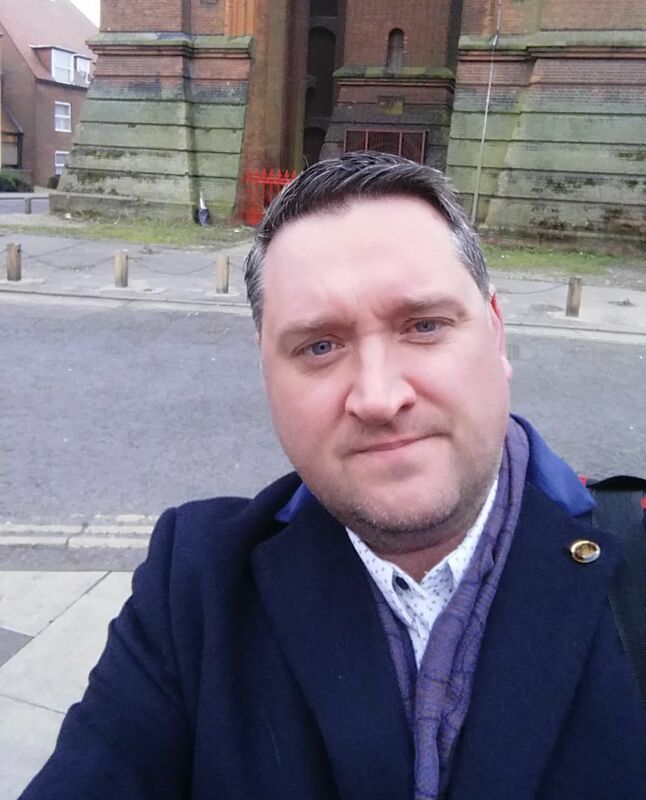 Part two of Scott Everest’s look at what could be done to help Colchester achieve its tourism potential. This is the second part to my blog about Tourism in Colchester and was overwhelmed by the reaction and support. It was heart-warming to see action being taken, with local political manifestos highlighting heritage and the importance of tourism, and the announcement of investment in the Roman Chariot Track. Everyone has great ideas and all needs to be captured in a professional Destination Marketing Program (DMP) which is both inclusive and apolitical. 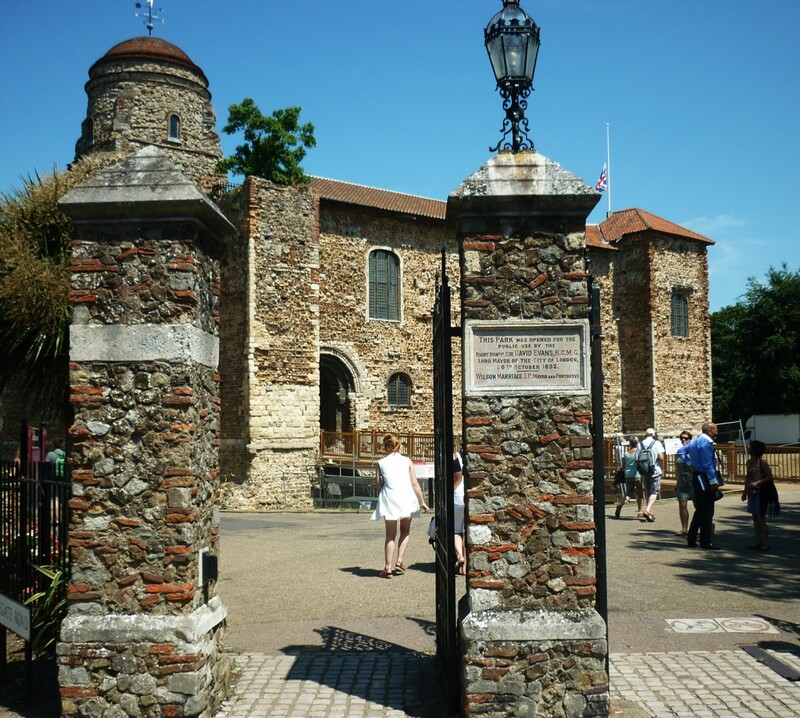 To give you an example and benefits of what a vibrant DMP can do we will do a case study on our town’s Unique Selling Point (USP) Colchester Castle. We need to begin by choosing a medium to measure and for this purpose will use TripAdvisor as it captures sentiment acutely. It also gives us numbers of votes which we can benchmark against each other. The next steps are to create a list of comparative USP’s and by type (Castles) from other Towns. The first thing we want to look at is ratings per Castle. This is the volume of people who chose to rate the castle regardless of sentiment of experience. 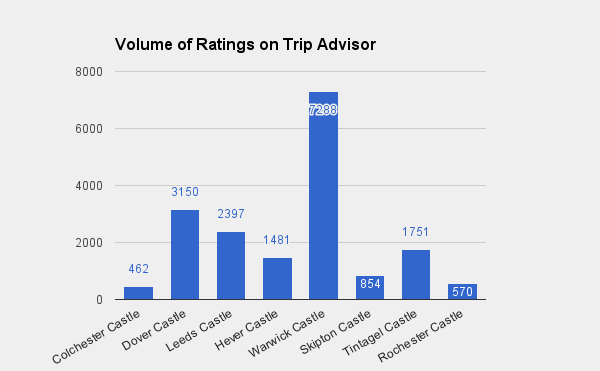 As you can see Colchester Castle has had the lowest engagement and ratings of all the Castles in our Comparative Set. This would suggest that the majority of visitors are local or school groups. 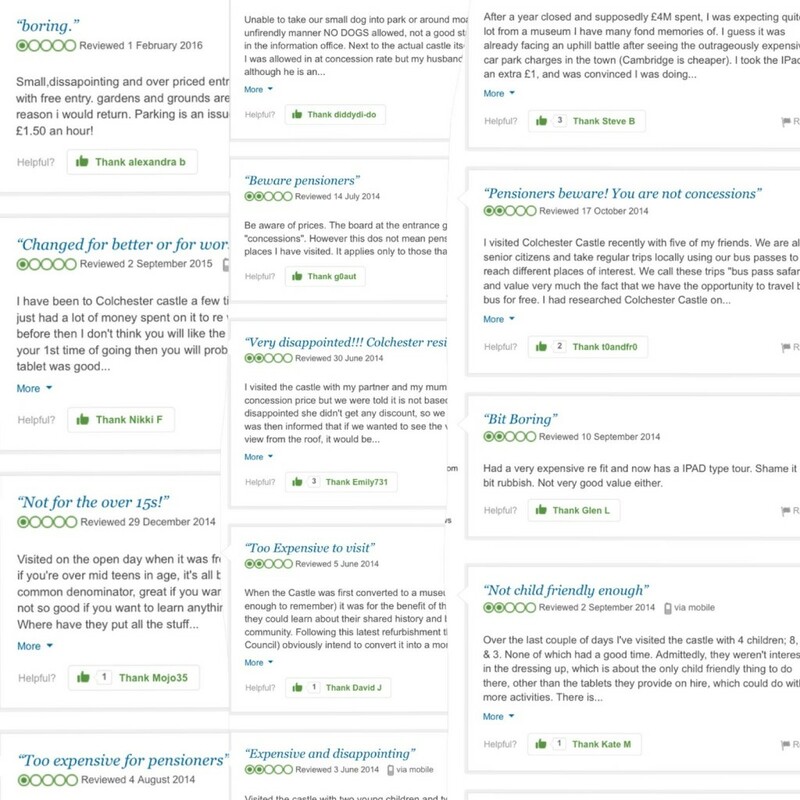 The next part of this case study is to look at sentiment, how people felt about the experience. In my industry the focus is to get to 4.5 stars, and you then would be rewarded as such on the website with a certificate of excellence which you can display in the premises. There is a value of revenue attached to this and in the hotel industry it is worth a minimum 5% extra on rate alone. 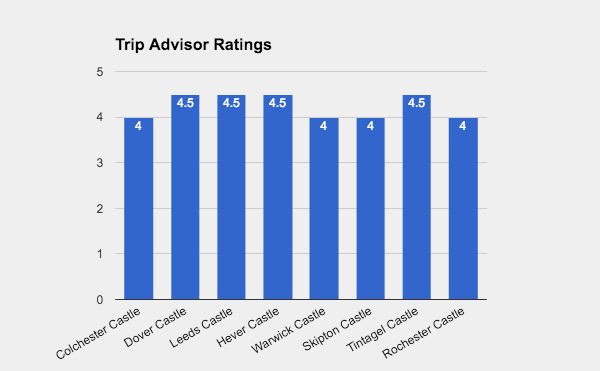 It is interesting that Colchester Castle only reached 4 stars and missed out on achieving a certificate of excellence. So let us get a snapshot of what visitors are saying. It is clear that no concession for OAPs is a standout issue with price, and reading through the negative verbatim it seems that there is an inclusivity issue. To give a perspective of balance there are some excellent reviews on the site, the point being that versus any other Castle the level of physical reviews are low. However the real issue is potential, and want to look at what Colchester could be so will remove the rest of the comparative set and just rank against Leeds Castle. In 2010 there were 560,000 people who visited Leeds Castle compared with 110,000 from Colchester Castle. This is a huge difference. Let us be realistic and state that Colchester was to achieve 200,000 visitor numbers, how much would the local economy would have benefited with 90,000 extra visitors. A look at what one attraction could bring into the community with additional focus of a DMP. If you could imagine scaling this up for all the attractions in Colchester then you can see the potential. In essence one attraction alone would bring in close to additional £1 million in revenue alone per annum. Having a Destination Marketing Plan that everyone is committed to would make a huge difference. To look at a blue sky scenario, if Colchester Castle reached the same visitor numbers as Leeds Castle, the additional revenue would be worth £4,887,000 per annum. I would even be so brave to say that Colchester would sell an additional £1 million in ice cream alone in the Summer Months. If ⅓ of these extra visitors came by train then Greater Abellio would make an additional £13,550,000 in revenue per year. It is in everyone’s interests for this to happen. 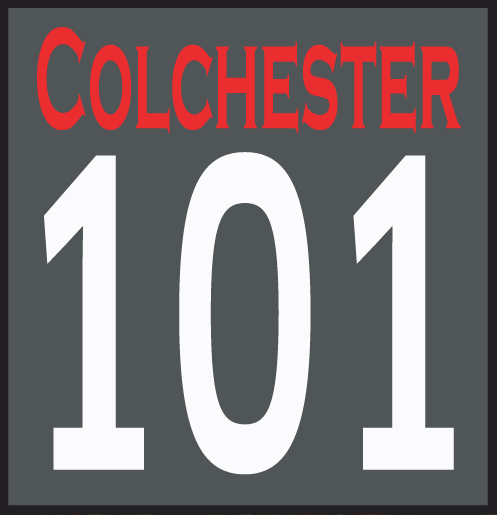 So the next steps would be to take the Destination Marketing Plan seriously, invest in its production and make it apolitical with the development of Colchester in mind.